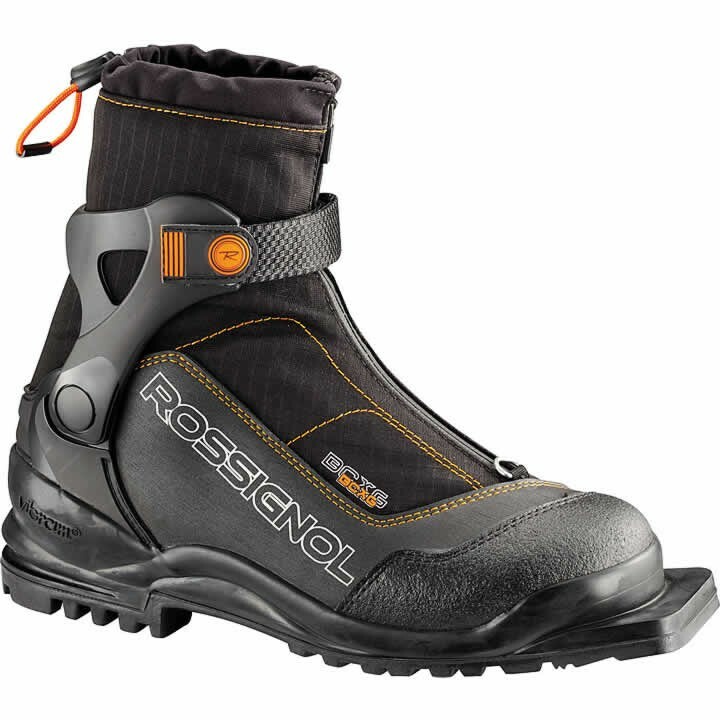 The new Rossignol BC X6 75mm is a versatile 75mm backcountry touring boot featuring Cordura® lace covers and Thinsulate® lining to provide increased versatility, durability and warmth for backcountry skiers. The free-hinge cuff with velcro powerstrap provides increased stability, power and control. Featuring new external cuff gaiters, ultra-durable Cordura® lace covers, Thinsulate® lining, and a Thermo-moldable fit, the BC X6 delivers unmatched comfort, durability and warmth for exploring off the beaten path. Mobile Cuff: Optimal freedom of fore/aft movement combined with torsional rigidity for total control. Thinsulate Electra: For the first time, 3M's technical fiber is used in a ski boot. The thermal imaging studies carried out in their laboratories show that Thinsulate provides the best thermal insulation currently available on the market. A very thin fiber, it does not affect the technical characteristics of their liners but enables excellent foot envelopment for great skiability. Thermo Adjustable Fit: Thermo-formable materials are heated so that boot volume can be changed. The boot adapts itself to the foot. Tailor-made! Speed Lace Lock: Rapid, easy closure for better support of the foot and more precision. Adjusting Strap: For more support and control.